As many of you probably already know (by the amount of posts I’ve dedicated to the subject) I’m a HUGE fan online shopping. I absolutely love the convenience of being able to damage the plastic without leaving my home. 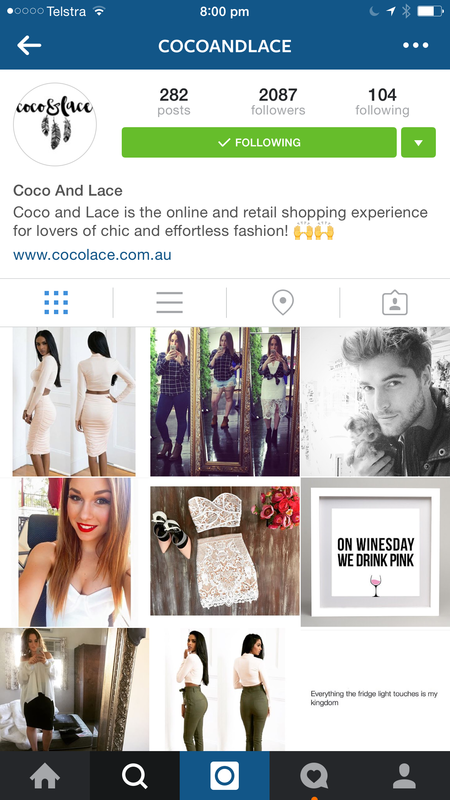 One of my new fave online haunts is Coco and Lace a store I found via Instagram. After following Coco and Lace my Instagram feed became regularly filled with gorgeous garments and shoes with uber affordable price tags. It didn’t take long before I’d added www.cocolace.com.au to my favourites and was a serial searcher during the day (I’m hoping Mr Tink doesn’t look in my history or he’ll realise by ‘deadline’ I meant ‘hemline’). The design is so flexible, I dressed it up with a statement necklace for date night and then dressed it down with a jacket for the office. 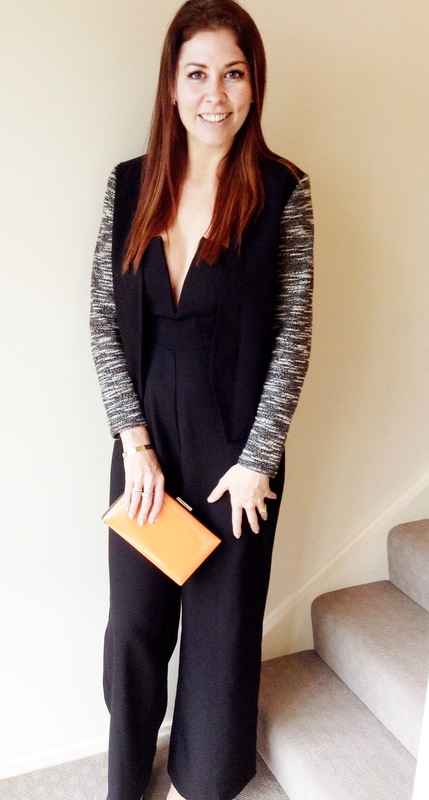 There are lots of different ways to wear the Hemisphere jumpsuit which means you won’t just leave it in your cupboard for special occasions. 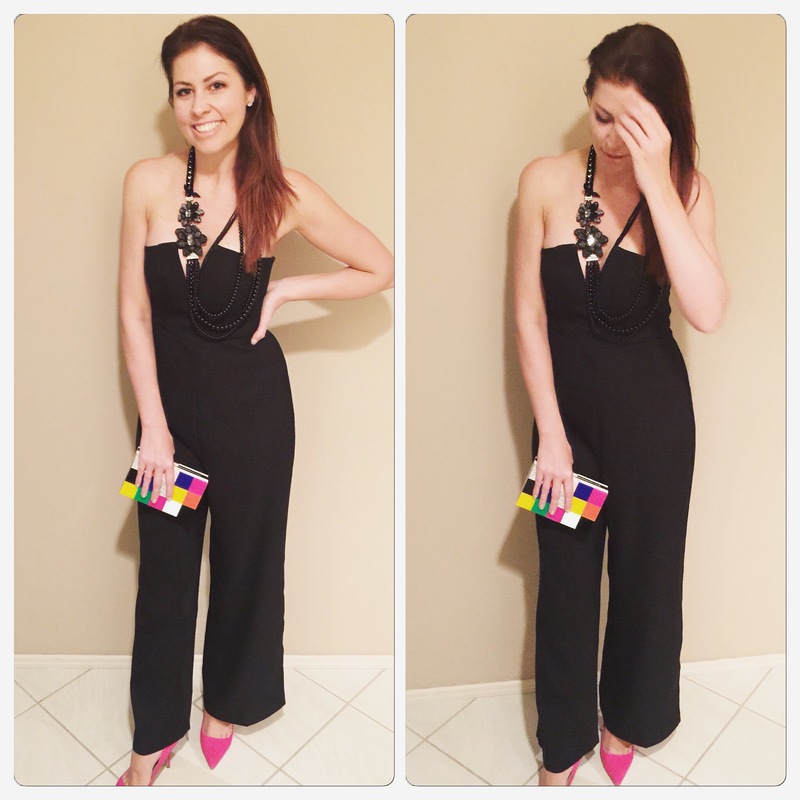 My favourite thing about my new jumpsuit is the price – only $70! And the Hemisphere is not the only thing you will find at a fab price, Coco and Lace have accessories from $11.95, beautiful shoes from $55 and free postage with orders over $75. 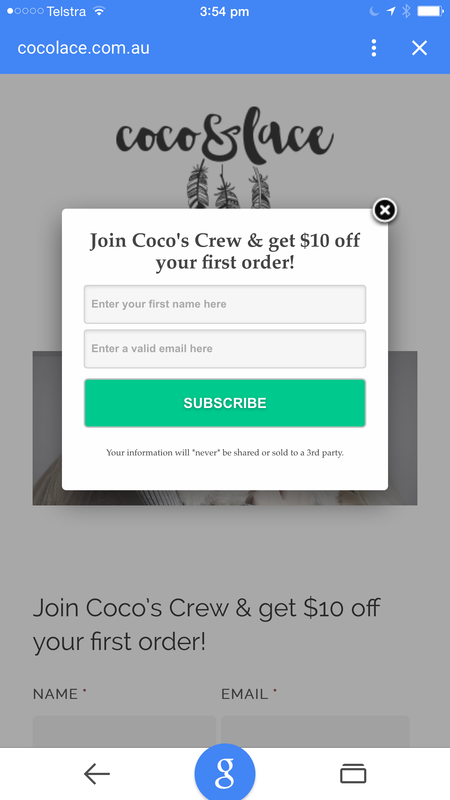 Plus, if you sign up to the Coco Crew you save $10 on your first order! So, to say I’m a little addicted to Coco and Lace may be a bit of an understatement. I can guarantee I will have many more items to share with you on my Newsfeed (I mean for research of course) but until then head over and check it out yourself. 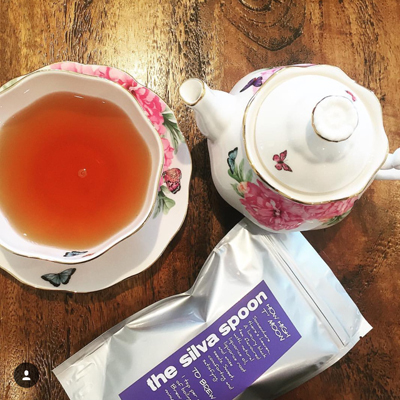 Choose your favourite piece then come back and share with me which item you’ve picked and why. 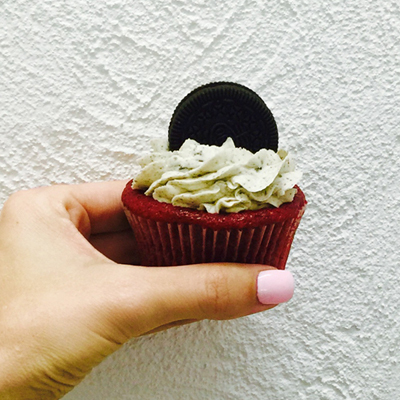 One lucky reader will WIN the item they have picked! Yes that’s right, the gorgeous team at Coco and Lace are giving one lucky reader the chance to WIN their favorite item! So off you go, head over to www.cocolace.com.au. The winner of the Coco and Lace competition is…..
Billow Cross Front Maxi dress, such soft and simple elegance! Would love to float my way through the warmer months in this beautiful piece. Absolutely love the California Dress, but The take me home jumpsuit is a real favourite, Mrs Tink Thanks for showing me this site, as a girl just has to shop!!! !